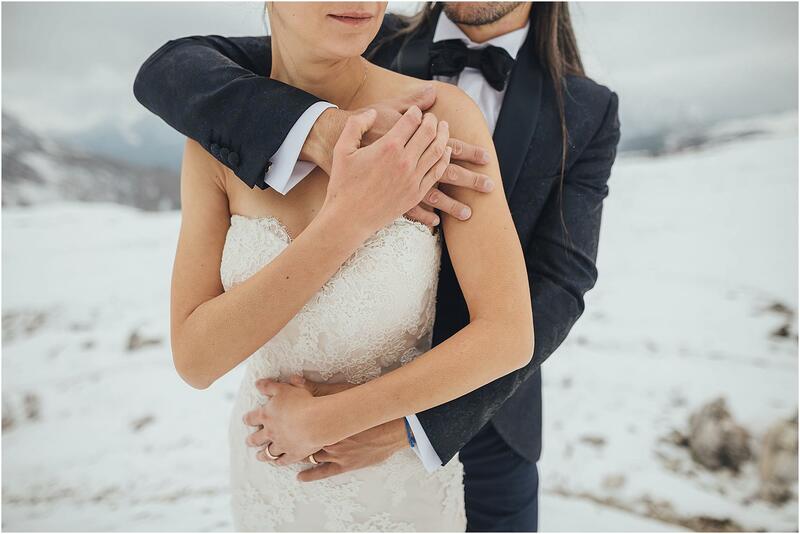 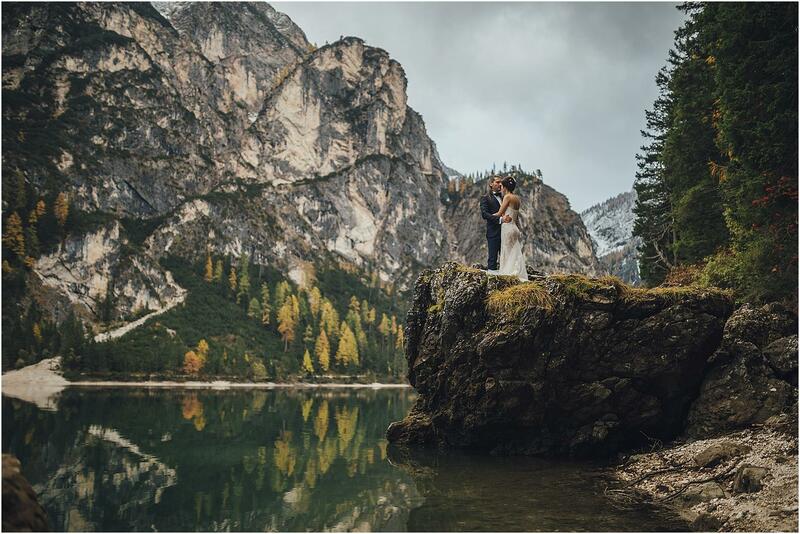 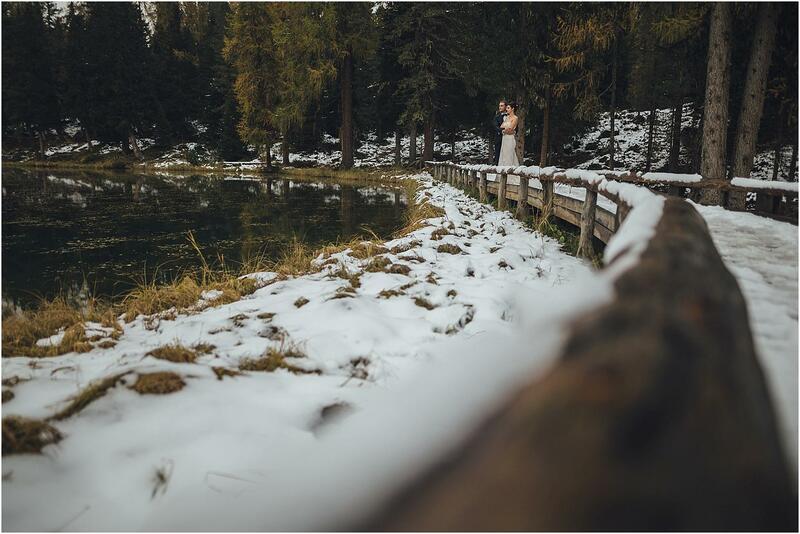 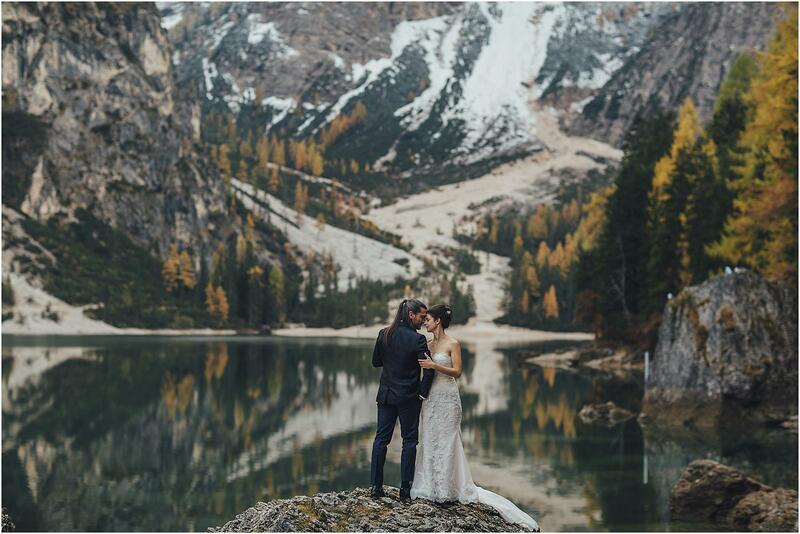 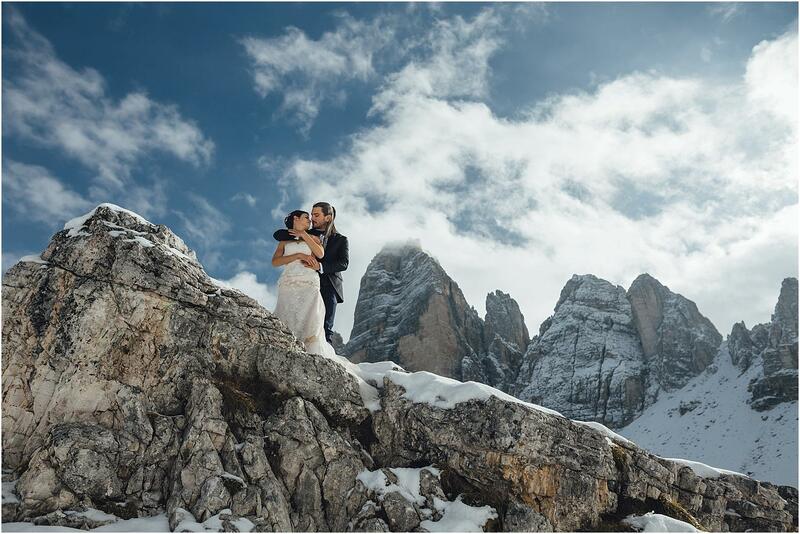 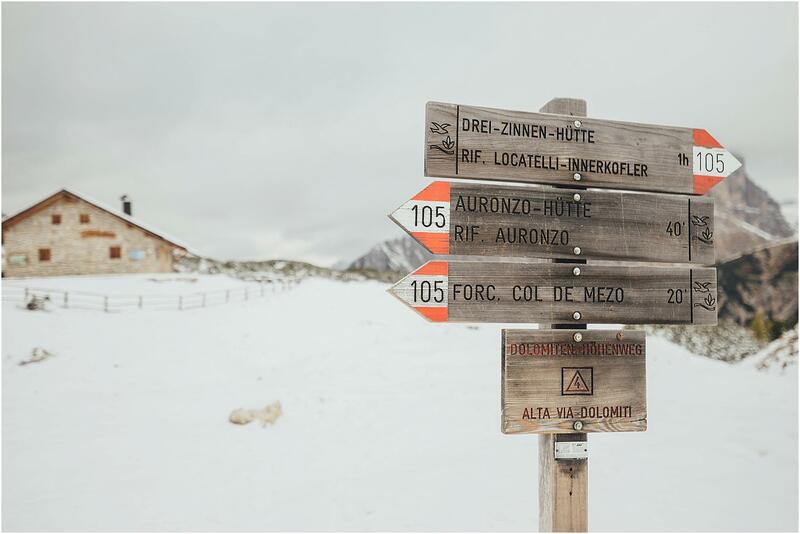 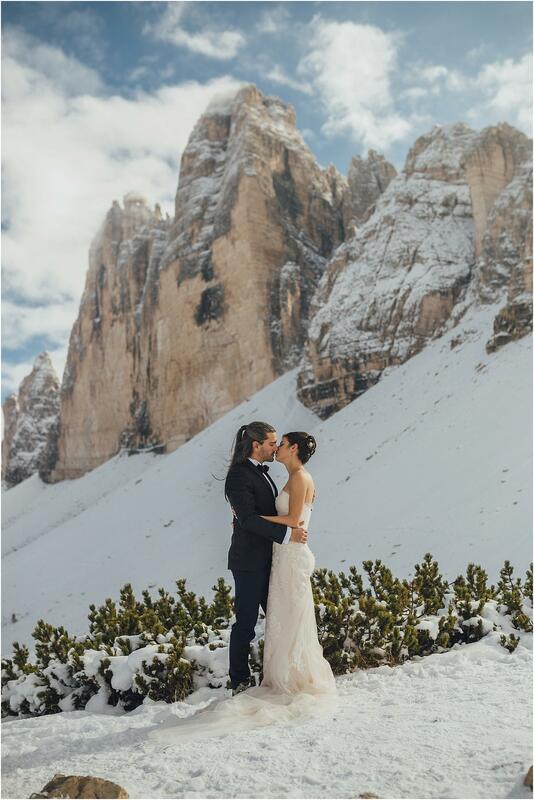 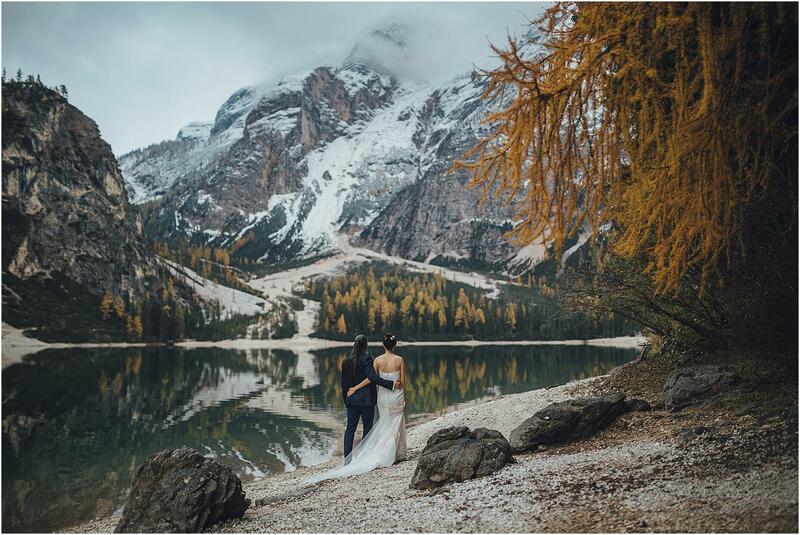 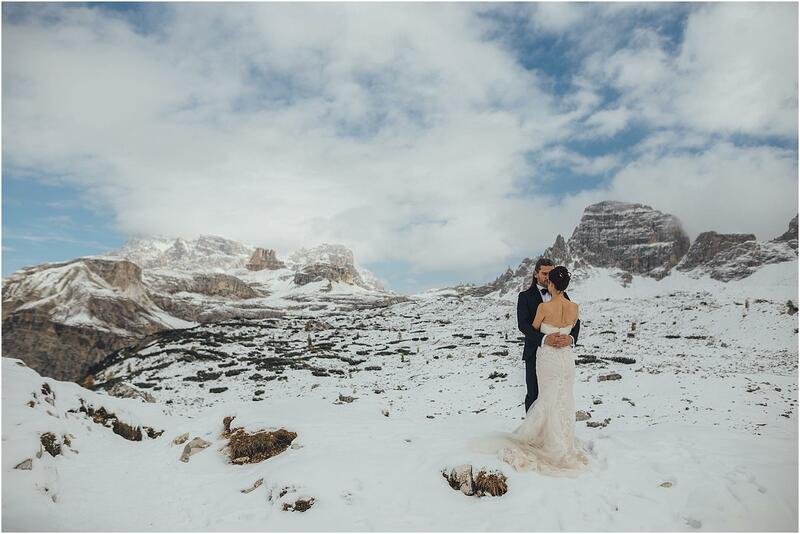 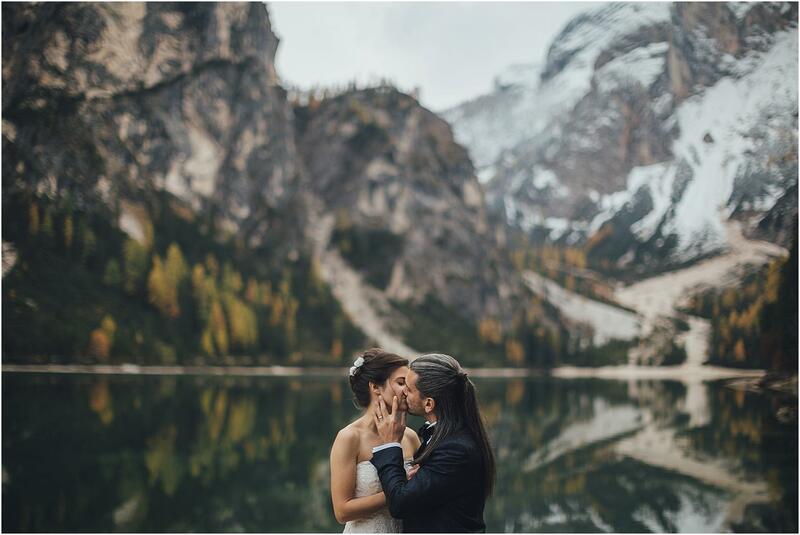 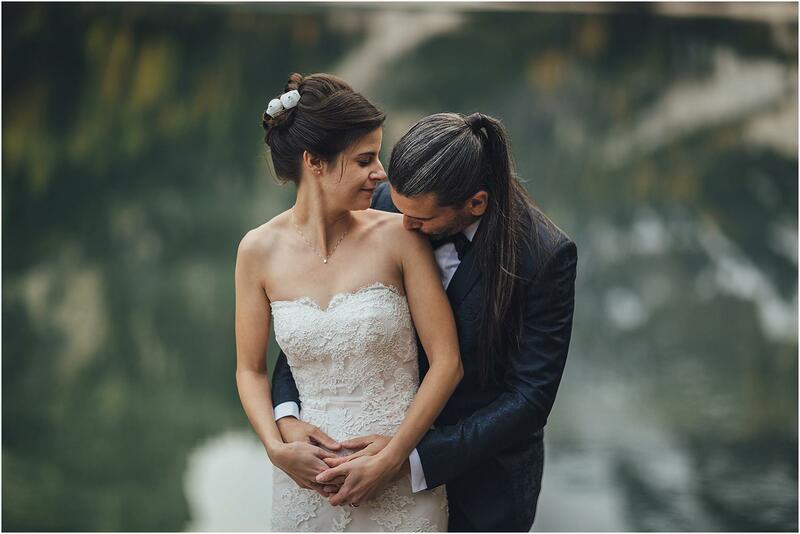 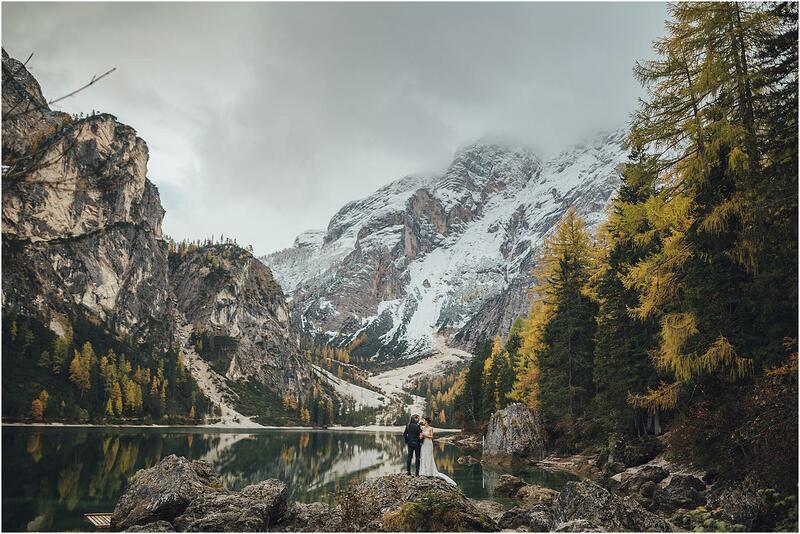 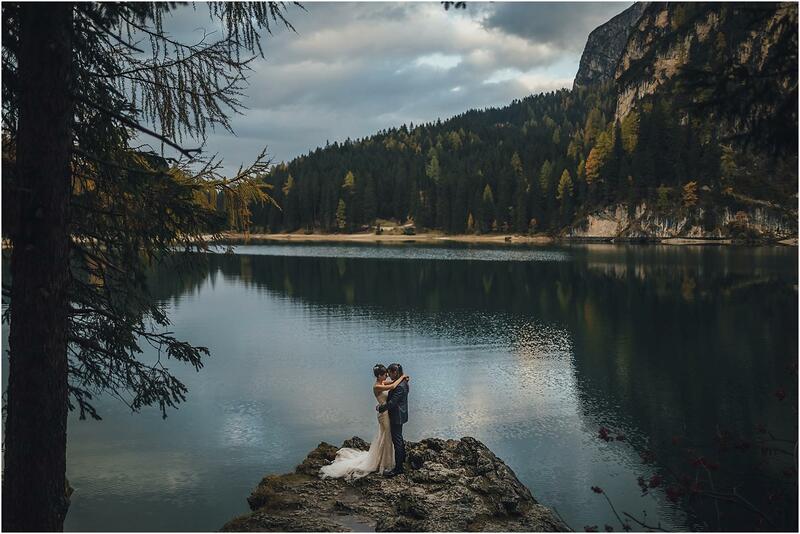 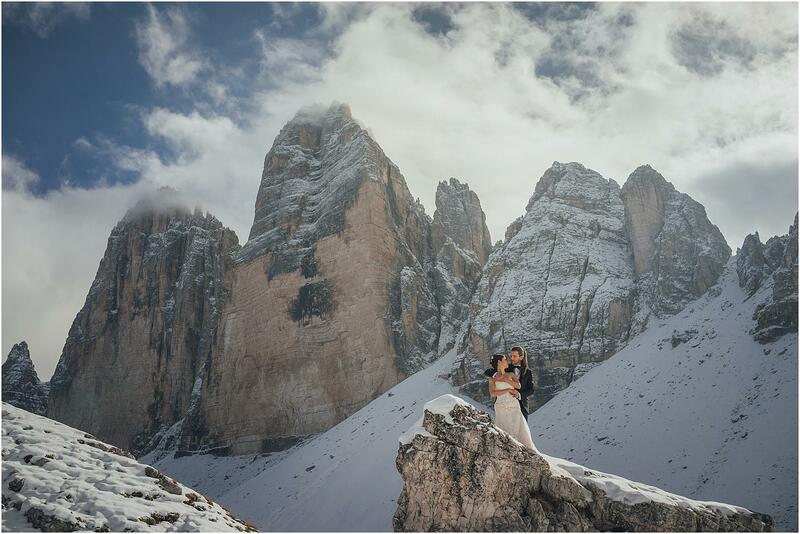 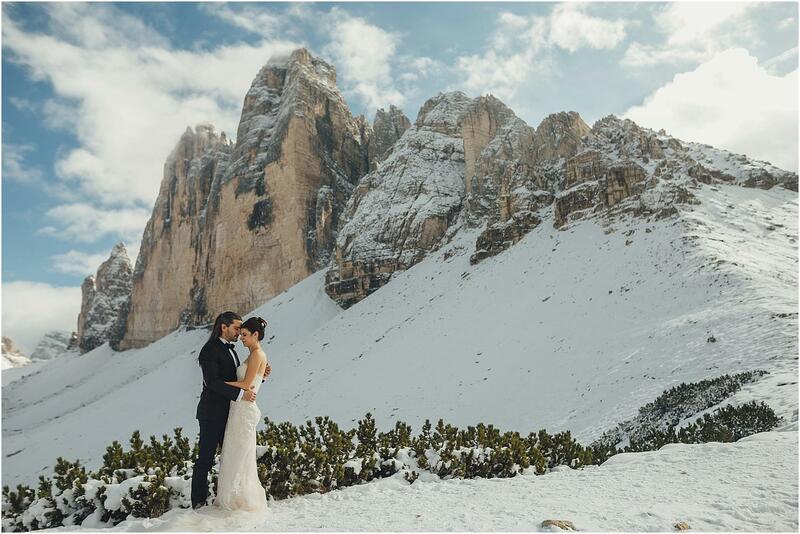 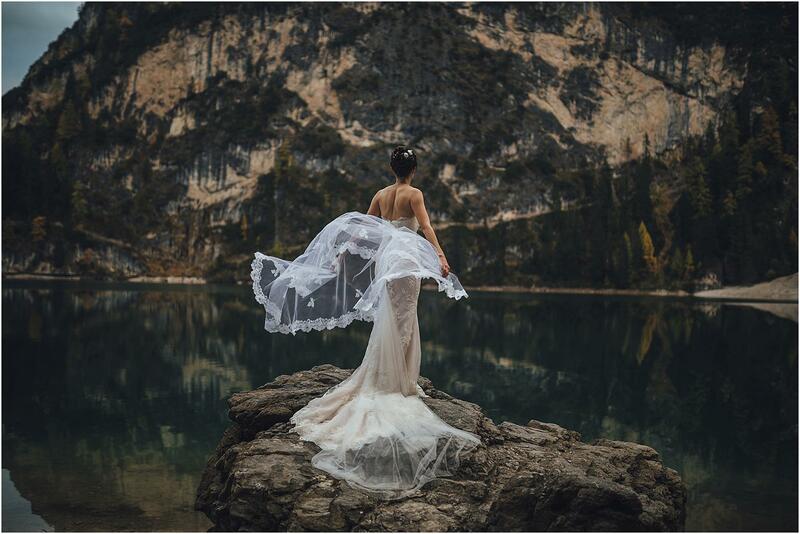 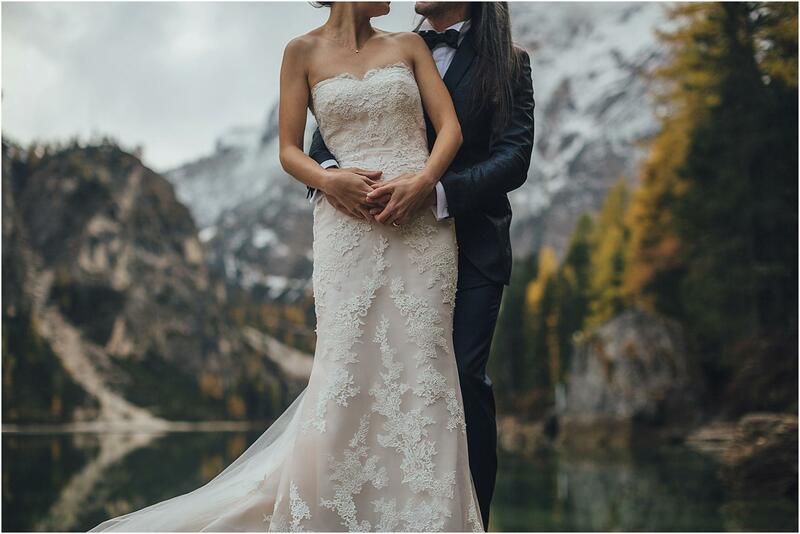 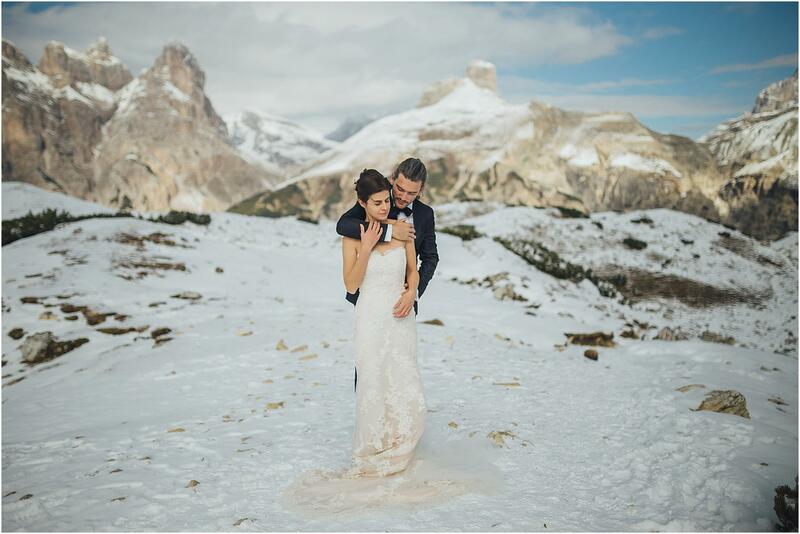 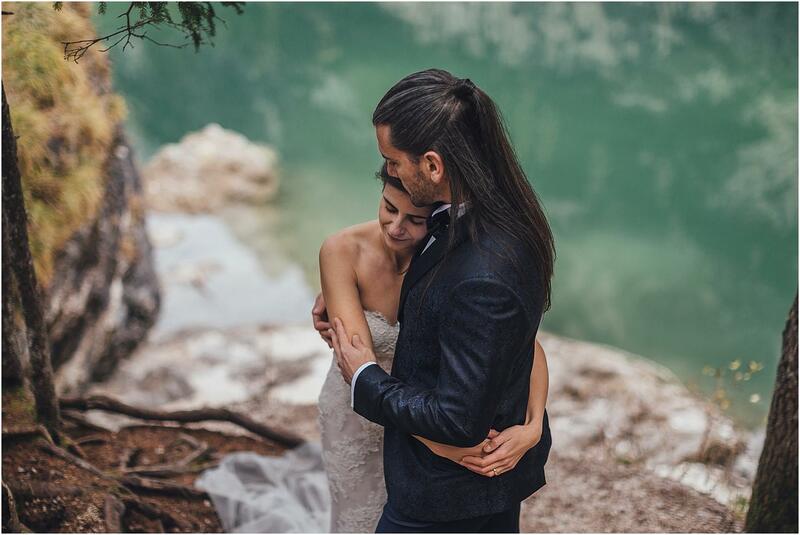 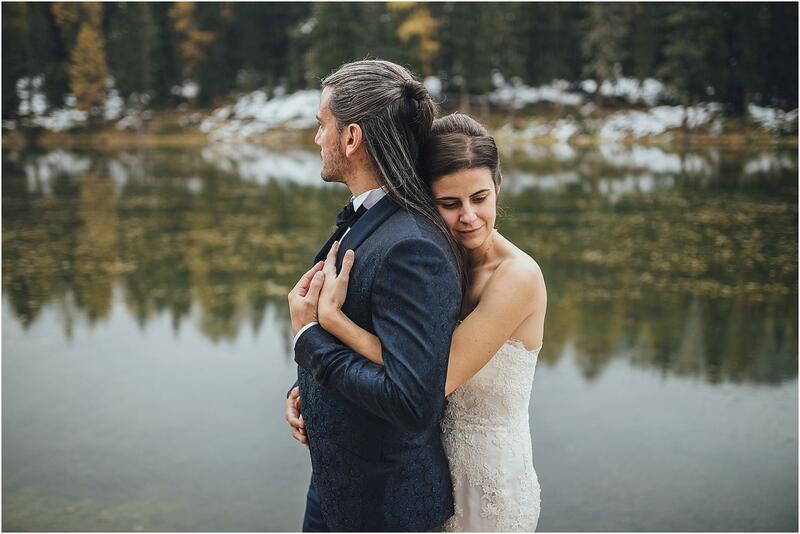 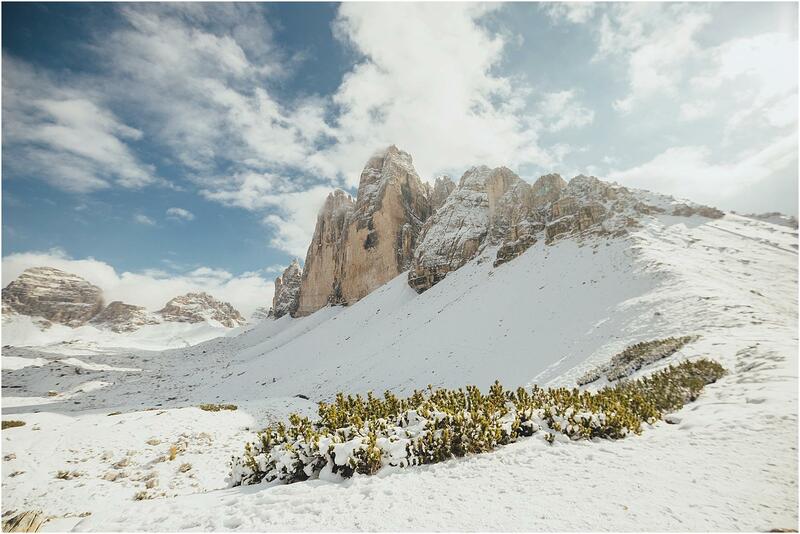 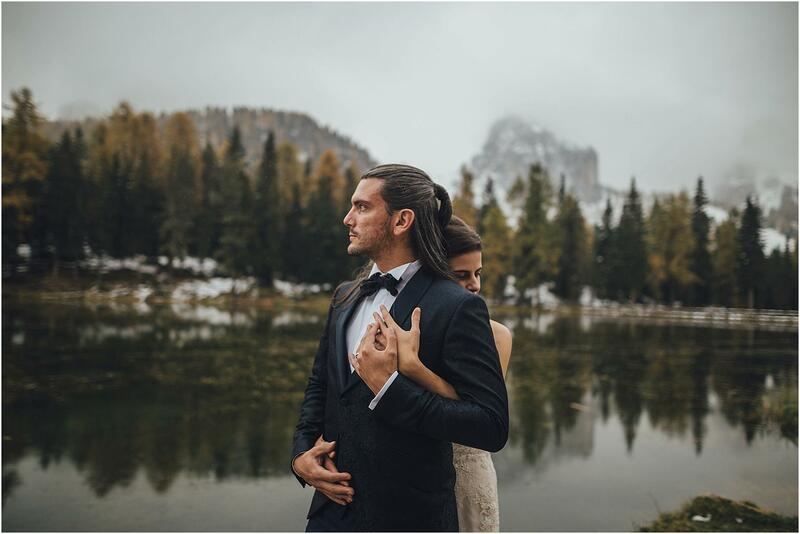 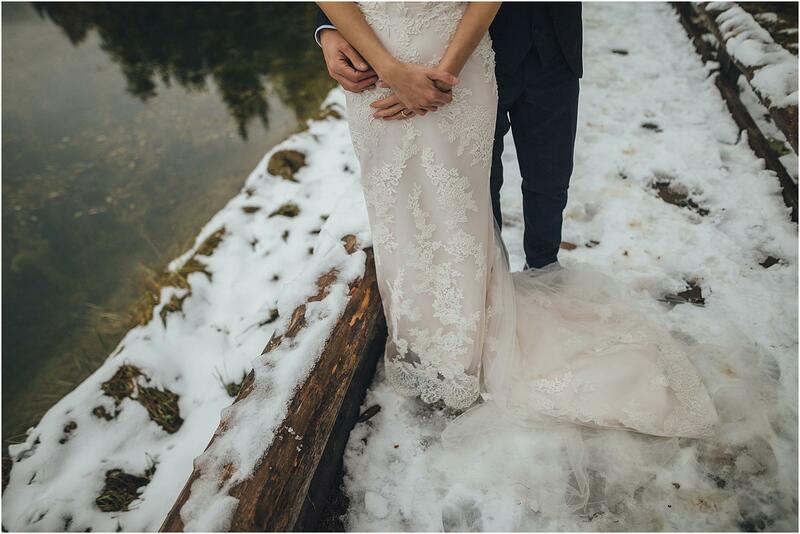 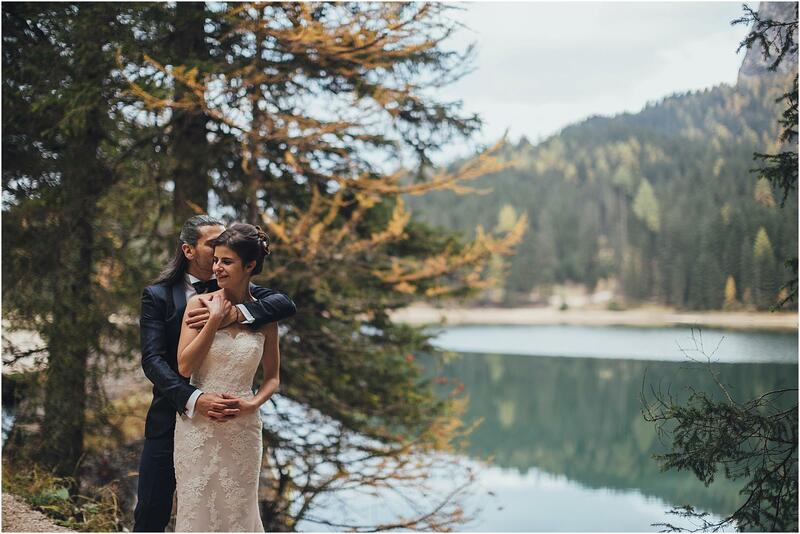 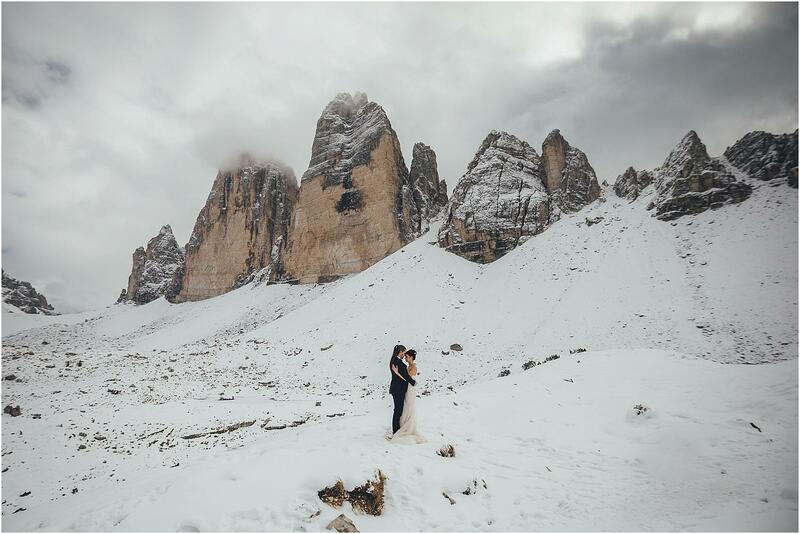 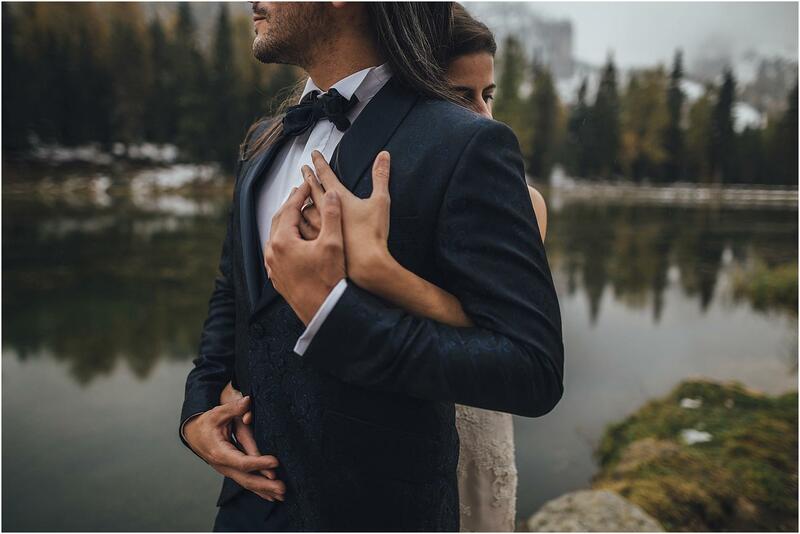 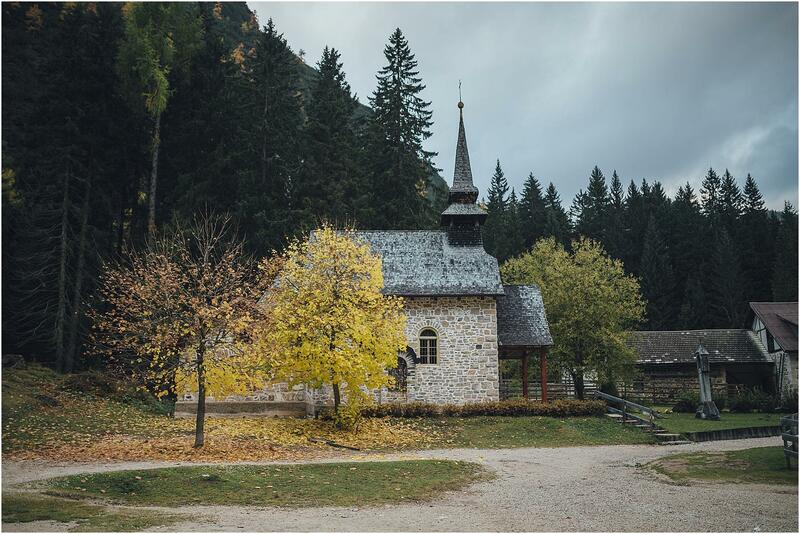 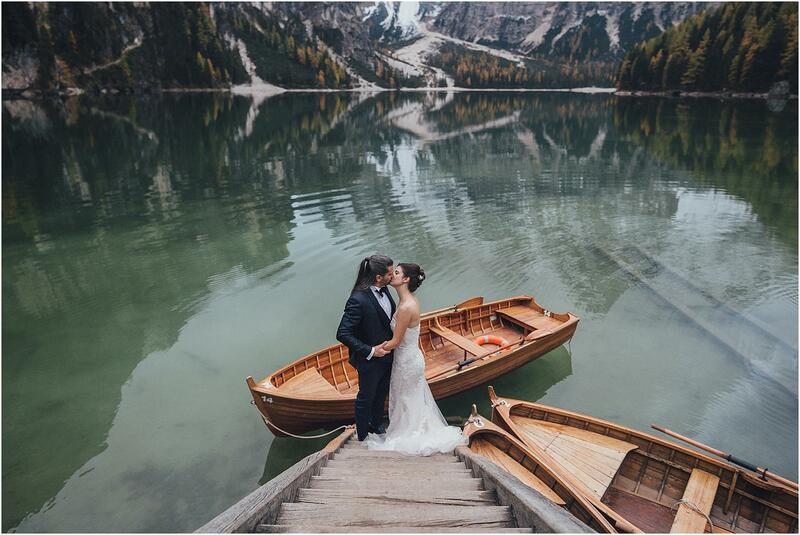 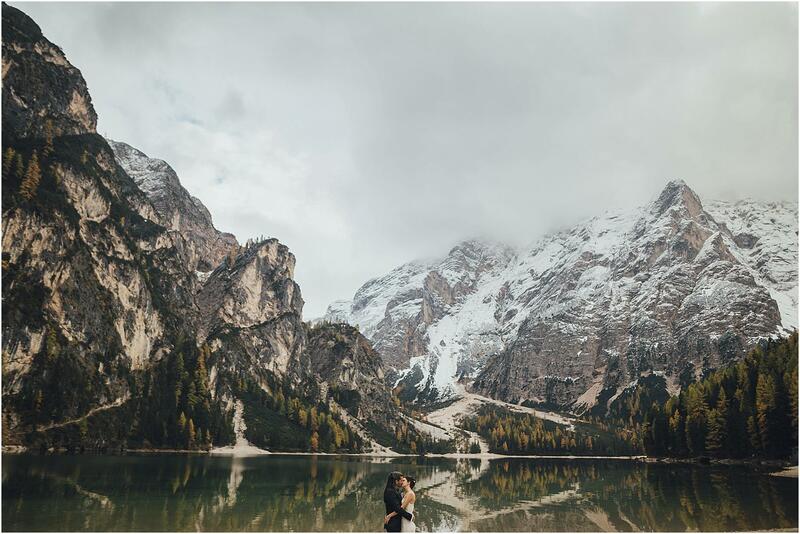 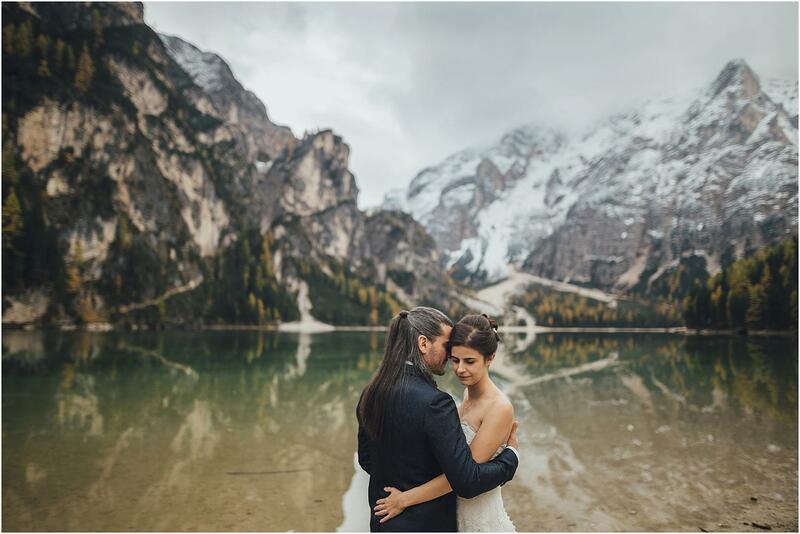 Rob and Alice are definitely an unusual couple: it takes a lot of courage and a bit of madness to choose the Italian Alps as a destination for a wedding photo shoot, in the snow and with temperatures approaching zero degrees. 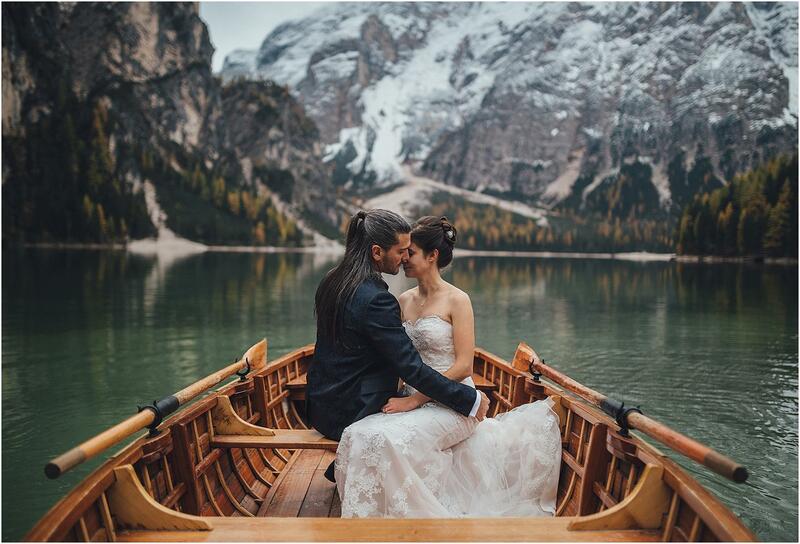 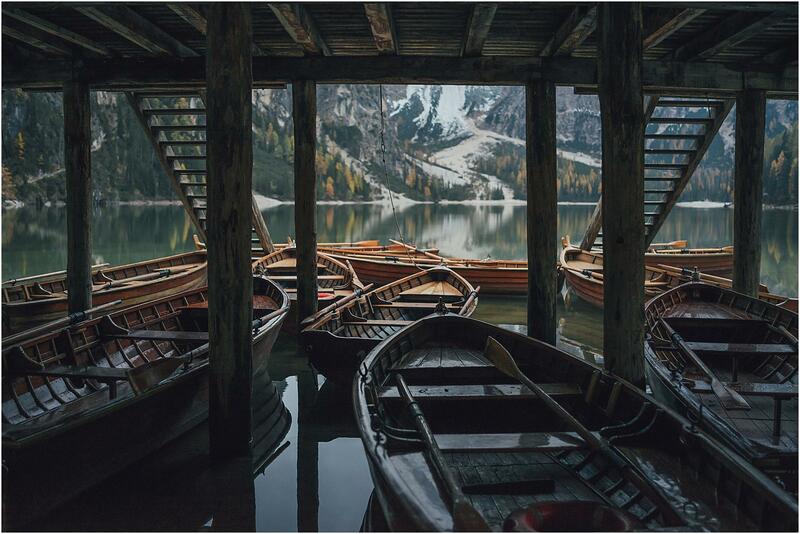 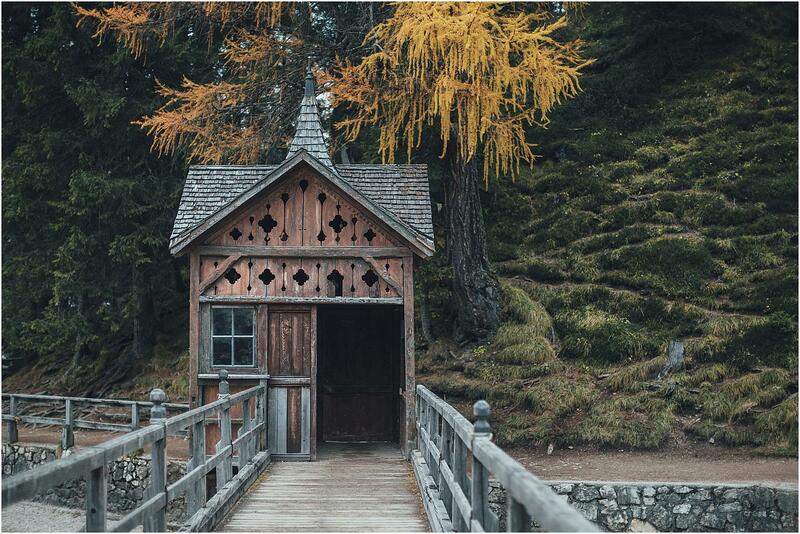 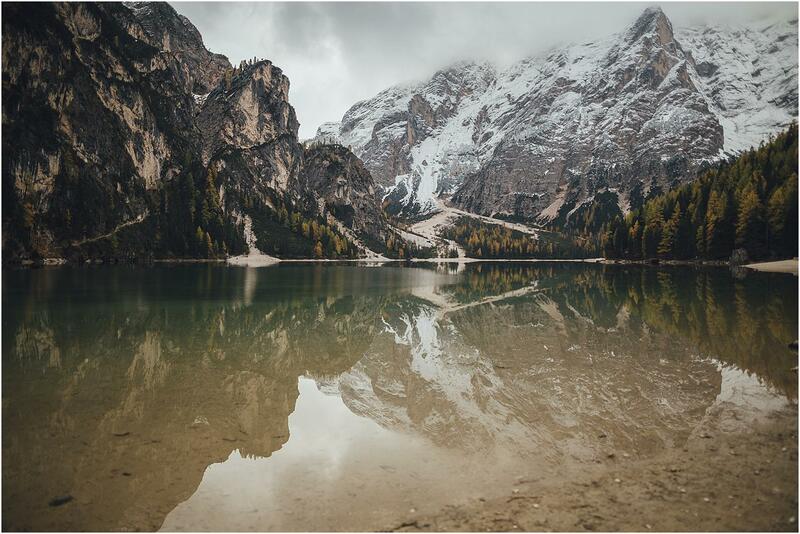 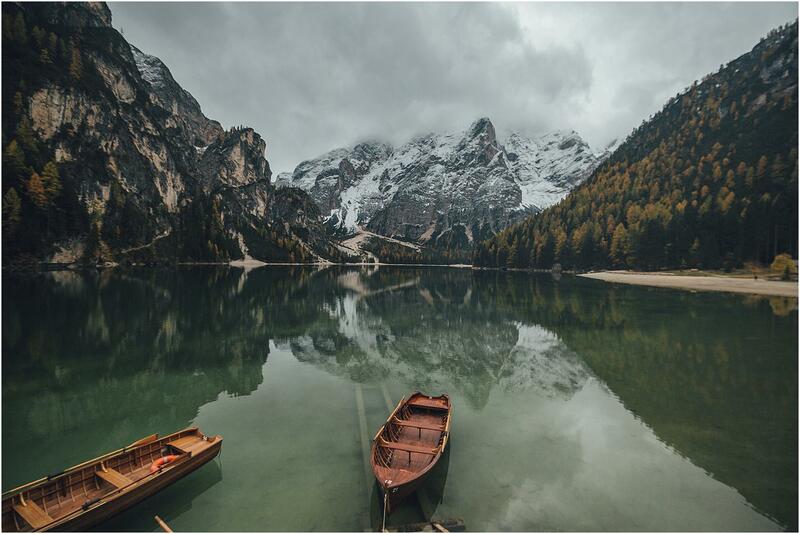 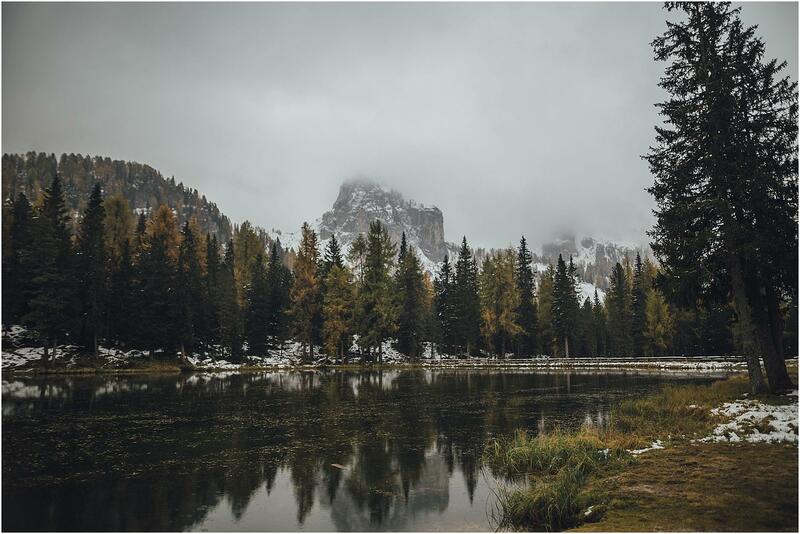 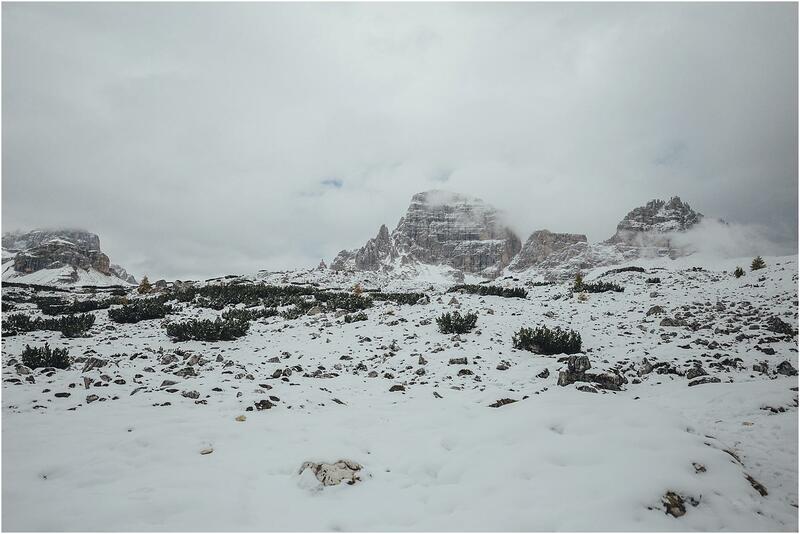 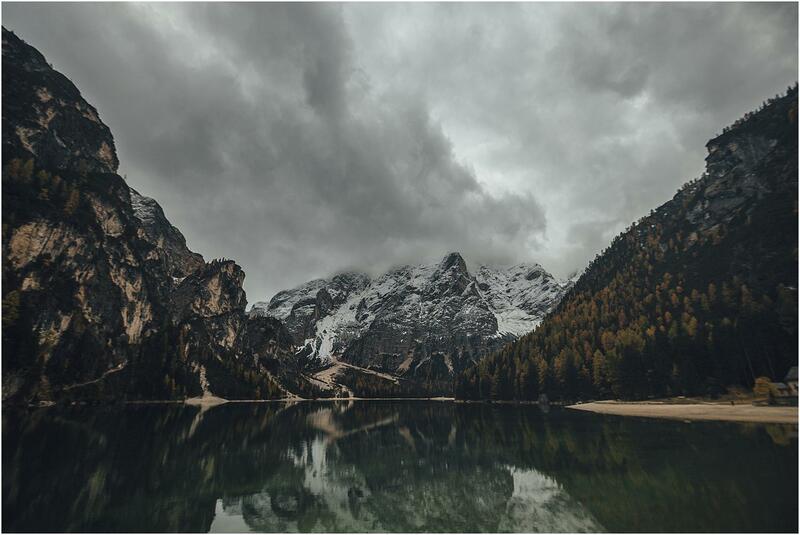 We accompanied them for two days in South Tyrol (Puster Valley), first on the breathtaking Lake Braies, then on the Three Peaks (in italian, “Tre Cime“) of Lavaredo, mountains of the Dolomites that are Unesco World Heritage Site. 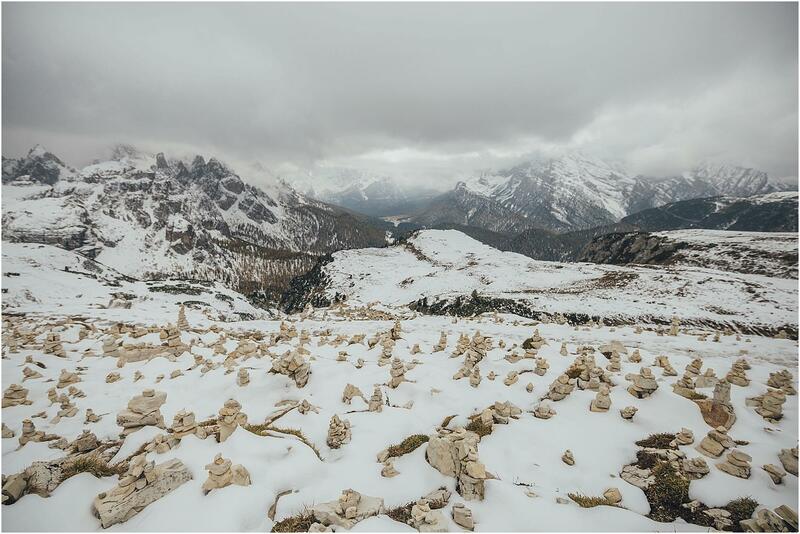 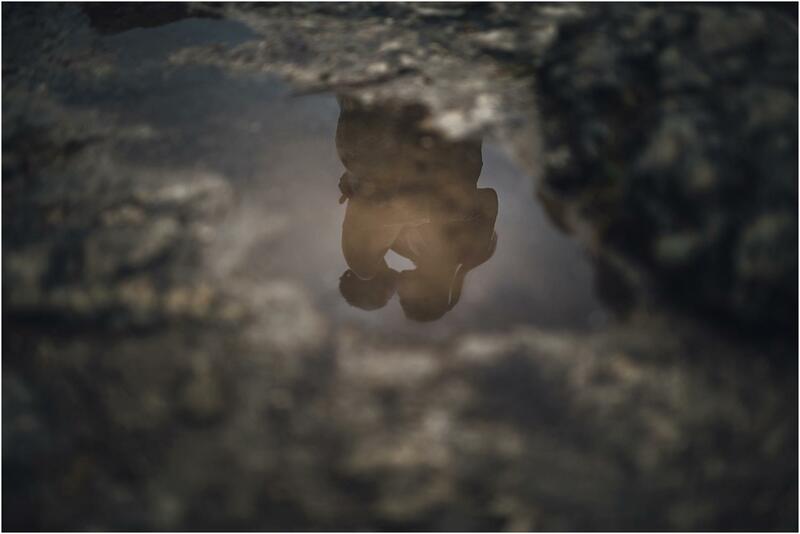 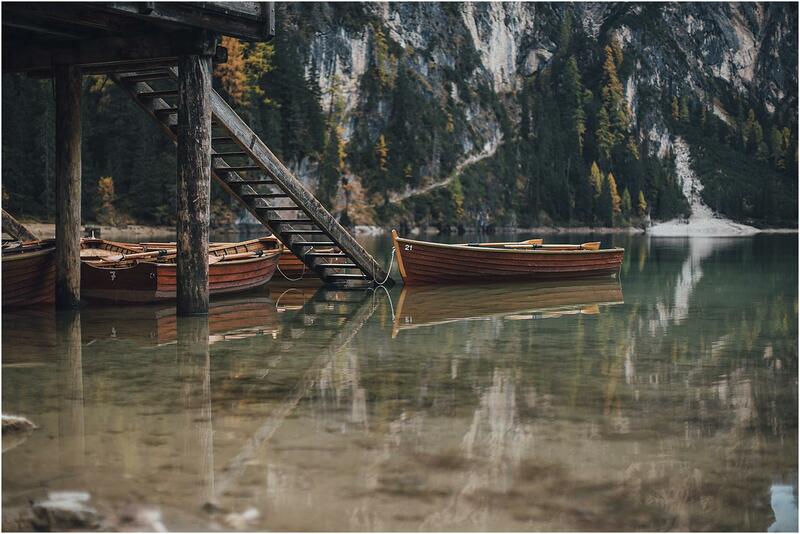 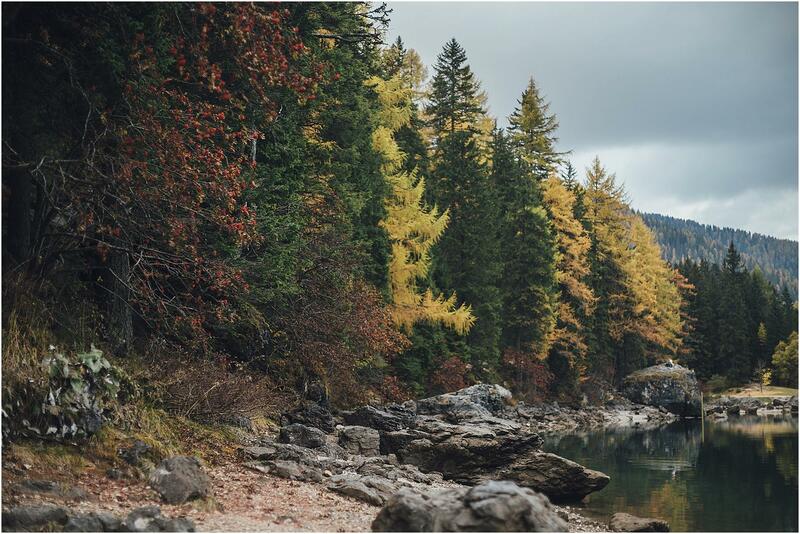 For 48 hours we lived together, sharing the discovery of these amazing locations, that left us speechless. 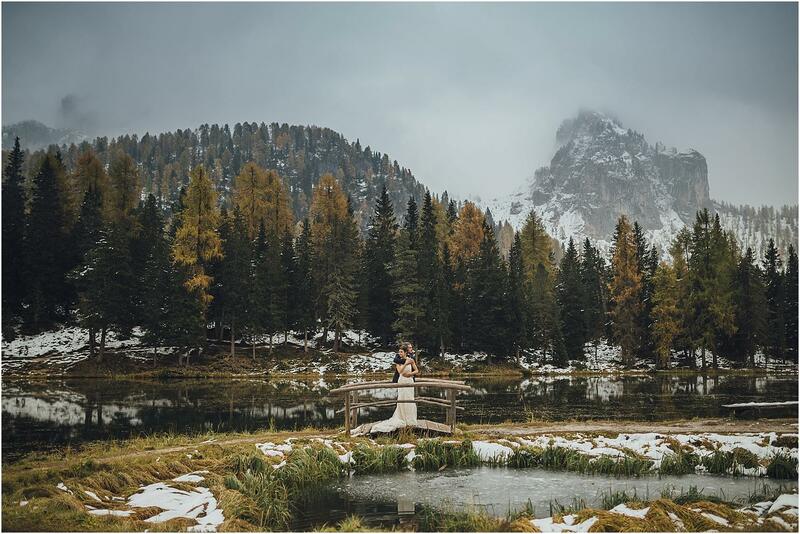 During the portraits session we were so thrilled; the autumnal colors of forests were reflected in the turquoise waters of the lake and the clouds gave the sky a magical and evocative atmosphere… our guys were wonderful in their wedding dresses and they were not afraid of anything: climbing up along the rocks lake and walking in the snow for a couple of hours were not a problem, for them. 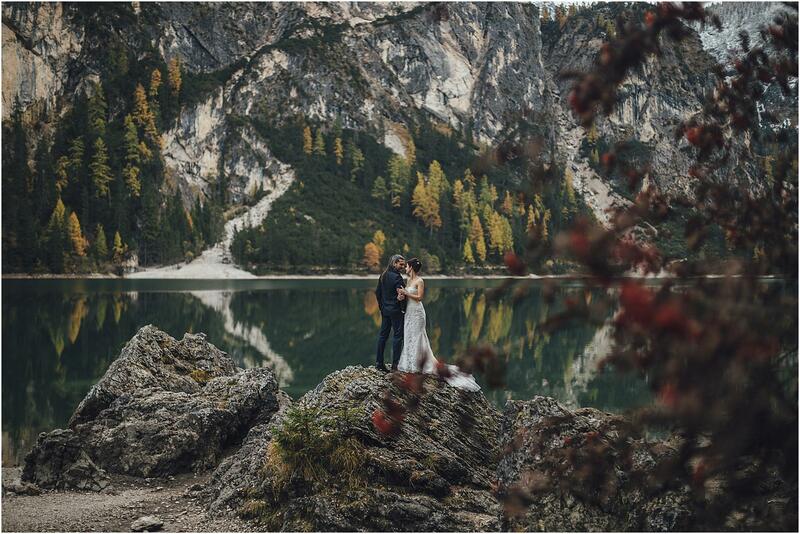 For a wedding photographer it is the greatest thing: a mad couple that takes you on a magical place and complies with enthusiasm all your ideas. 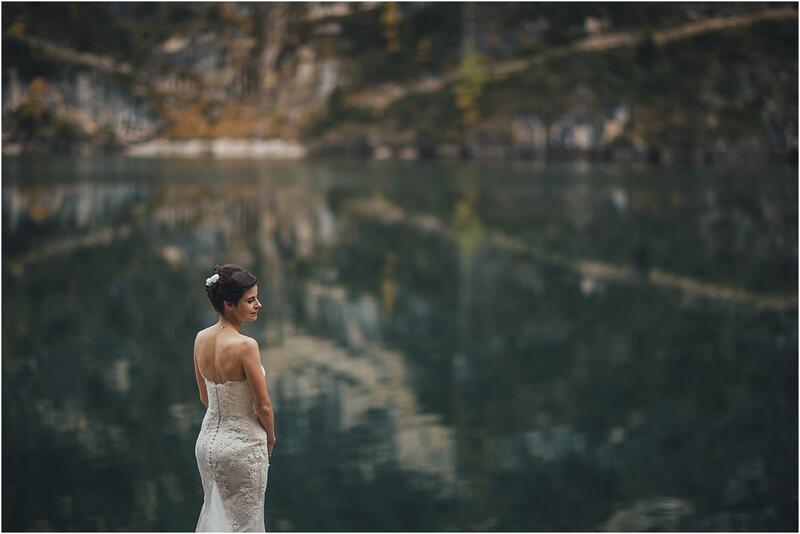 With these premises you can only get a “WOW” photographic service!